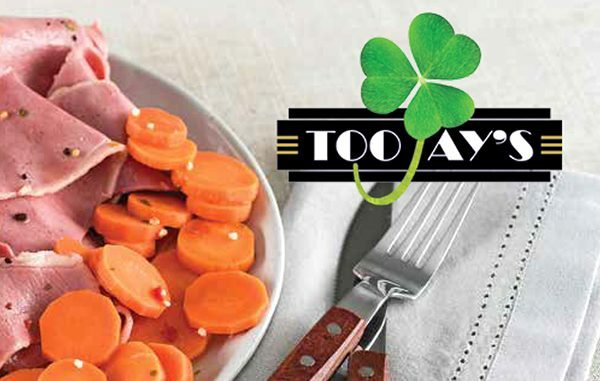 VERO BEACH – TooJay’s of Vero Beach is starting their St Patrick’s Day menu a little early. Now through March 18th, customers can enjoy their Famous Murphy’s Seafood Chowder, Corned Beef and Cabbage, and Chocolate Covered Irish Cheesecake. Additionally, TooJay’s is offering an assortment of wine and beers to complement these specialty St. Patrick’s Day items. The West Palm Beach-based restaurant company will also cater your festive St. Patrick’s Day spread for parties small and large get-togethers. Their year-round menu is popularly known for its piled-high sandwich platters, a variety of salads, as well as complete dinners with gourmet hors-d’oeuvres, salads, entrées, and tasty desserts. TooJay’s invites guests to join their “Delicious Rewards” program. It is on TooJay’s mobile app, available for Android and iOS. Upon signing up, guests receive a free small plate or dessert. Additionally, they can earn points, receive special offers, and check out TooJay’s menu and locations. TooJay’s Gourmet Deli began as a modest New York style delicatessen on the Island of Palm Beach in the spring of 1981 and has grown to 27 restaurants throughout Florida.